Martin Maloney - What more do you want? Lock up your mothers! 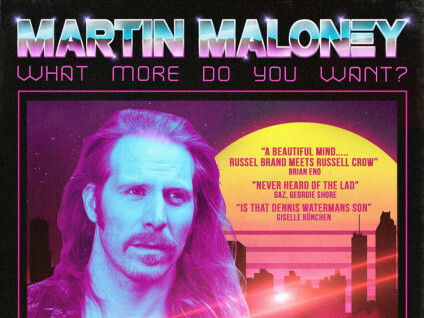 Martin Maloney - The Artist formerly known as Eddie Durkan from cult comedy series hardy Bucks is going solo. He’s shed his character and intends to gently smash down your doors of perception with his chunky sledge hammer of laughs. A plush tapestry of impersonations, song and the riveting tales of a man coming to grips with recently being diagnosed with having ADHD. Sharing his past and present, dealing with highs and lows of modern life with everything in between. Bells and whistles galore. Lob it in to your calendar. Now. As in, now like!